Things have taken a turn for the worse for Maxime Canevet. Once (and mostly) the overwhelming chip leader he just took a big hit from Erik Ostergaard. Four-handed he ran got his QQ in vs. Ostergaard’s AQ in power position. An ace on the flop changed that quickly and now he’s found himself on the shorter side. 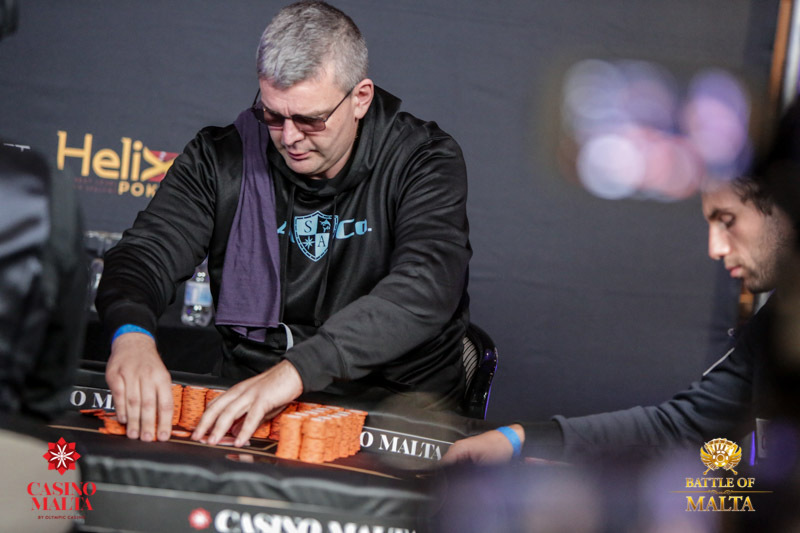 Ostergaard, meanwhile, has built a wall of chips and claimed the lead.